Millions use aspirin daily without realizing its true dangers. The good news is that there is a natural alternative which preliminary research indicates is safer and more effective. Pycnogenol Boosts Athletic Performance – Who Needs Doping? Doping has wrecked the reputations of several sports along with many athletes. Once again nature provides a solution - this time to boost athletic performance. Once marketed by Bayer as "The wonder drug that works wonders," aspirin's profound toxicity and potentially deadly side effects can no longer be hidden from the public. One simple lifestyle modification -- the cessation of smoking -- has been found to dramatically reverse biological skin age in a study of Italian women. 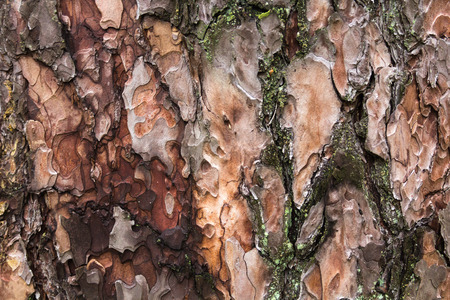 New research finds that pine bark extract significantly treats the tinnitus and vertigo related to Meniere's disease. Our aging skin is the target of billions of dollars worth of marketing, the object of a continual stream of cosmetics, drugs and 'nutraceuticals' promising to deliver age-defying results. But what really works? What does the scientific evidence say? Researchers from Japan's Keiju Medical Center have determined that a certain nutraceutical from pine trees can significantly reduce symptoms of menopause and perimenopause. Painful hemorrhoids, high blood pressure and skin issues, such as psoriasis, all have something in common: Blood flow. Research finds these three issues can all be successfully treated with the pine bark extract called Pycnogenol. Sugarcane Extract Superior to Cholesterol-Lowering Drugs? There is a little known natural extract of plant waxes known as policosanol, extractable from sugar cane, yams, and beeswax, which has been giving some of the more profitable drugs on the market a biomedical beating since it was first investigated in clinical trials by the Cubans in the 1990's. Aspirin's long held promises are increasingly falling flat. A natural, safer and more effective alternative to this synthetic drug has been known about for at least two decades! When seasonal allergies strike they can bring with them a host of nasty symptoms including itchy and watery eyes, sneezing, a running nose and sore throat due to post-nasal drip. Medicating with anti-histamines isn’t a healthy option and can leave many feeling drowsy and fatigued. Luckily there are natural remedies that are making waves for their powerful anti-histamine-like effects and abilities to suppress seasonal allergy symptoms.